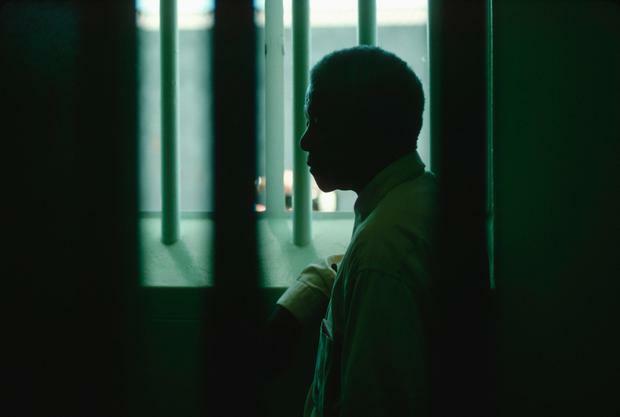 A superbly edited collection of the ANC chief’s prison letters paint a portrait of Mandela the family man, the political thinker and the inmate. In April 1969, Nelson Mandela learned that his wife Winnie had become seriously ill and started suffering blackouts. He sat down and wrote her a letter from his tiny 8ft X 7ft cell on Robben Island, suggesting that she get hold of a book by the American psychologist Dr Norman Vincent Peale called The Power of Positive Thinking. As this superbly edited collection of Mandela’s prison correspondence makes clear, he certainly practised what he preached. The future president of South Africa spent 27 years in jail, but never once allowed the vicious apartheid that had put him there to break his spirit. Since Mandela was initially allowed just one visitor every six months, writing became his chief method of keeping in touch with the outside world. He took each communication extremely seriously, copying the text into a hard-covered notebook in case the original document was destroyed or mangled by a censor. Thankfully, the bulk of Mandela’s literary archive seems to have been preserved for posterity. As well as presenting 255 letters across 640 pages here, the South African journalist Sahm Venter does a fine job of putting them into historical context. He provides extensive annotations, footnotes to identify each person mentioned and even some facsimiles to show the prisoner liked to fill up almost every inch of his precious paper. The letters are printed chronologically but fall into three main categories. One reveals Nelson the family man, missing his wife desperately and feeling guilty about not being able to raise his five children in person. Long before Tony Blair coined the phrase, his priorities for Thembi’s siblings were “education, education, education” and he constantly praised or scolded them about their academic results. “What are you doing?” he demanded of his other son Makgatho after learning that the young man had not registered for college. The second category of letters displays Mandela’s political and legal skills. He regularly protested against his captors’ barbaric treatment of black inmates, but always in a dignified tone aimed at building bridges rather than burning them. One forensically argued example ends with a striking passage that hints at his long-term ambition to reshape South Africa as a ‘rainbow nation’. The final category concerns Mandela’s daily activities, which make for more mundane reading but still paints a vivid picture of the suffering he had to endure. He was acutely concious of his deteriorating health, requesting cold cream for a dry-skin condition and ordering the prison chef to put him on a salt-free diet. His growing fame is illustrated by a note thanking Mike Tyson for sending him some boxing gloves and a missive expressing his hope that Sidney Poitier might one day play him in a film (he did). Mandela’s prose style was undeniably long-winded and only his most devoted admirers will want to read this book from beginning to end. It is probably best appreciated as a companion volume to his seminal autobiography, Long Walk to Freedom, which was mostly written in captivity too but not published until 1994. Together they are a remarkable testament, not just to Mandela’s moral leadership but also his unbending willpower – a quality which seems to have puzzled even the great man himself. “I very often wonder what gives the strength and courage to carry on,” he once admitted to Winnie. Since shooting onto the fiction charts with The Couple Next Door in 2016, Shari Lapena has established herself as one of the biggest names in the domestic thriller genre that has proved a publishing phenomenon.